The Tana Monastery is a seat of Yelpa Kagyu, one of the earliest monasteries in Tibet. 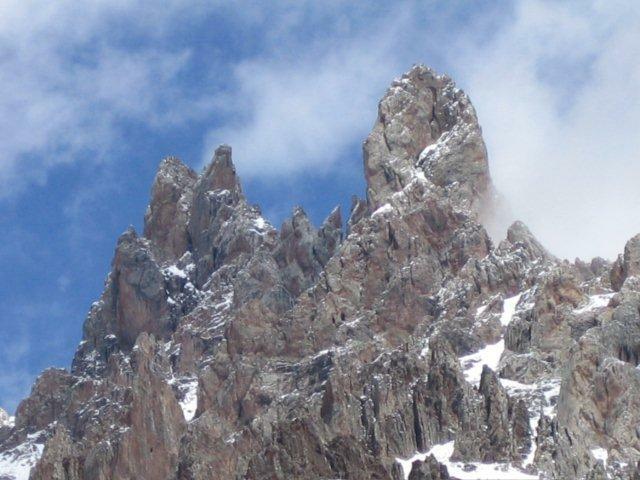 In 1189AD, Tana Monastery was founded in a place known as ‘Tana’ meaning ‘Horse Ear’ in Tibet by the Lord Protector, Sangye Yelpa, the founder of Yelpa Kagyu. Sangye Yelpa was one of the main disciples of Lord Phakmo Drupa. During the lifetime of Sangye Yelpa, he was the root guru of Ling. The people of Ling offered all the property and wealth of Ling Gesar (King Gesar) to Sangye Yelpa and he brought the gifts to Tana Monastery, Tibet. The miraculous gifts of Ling Gesar existed until they were destroyed during the Cultural Revolution except for the Stupas of the thirty Ministers of Ling. Some of the interesting material of Ling are still seen in Tana Monastery, Tibet today. 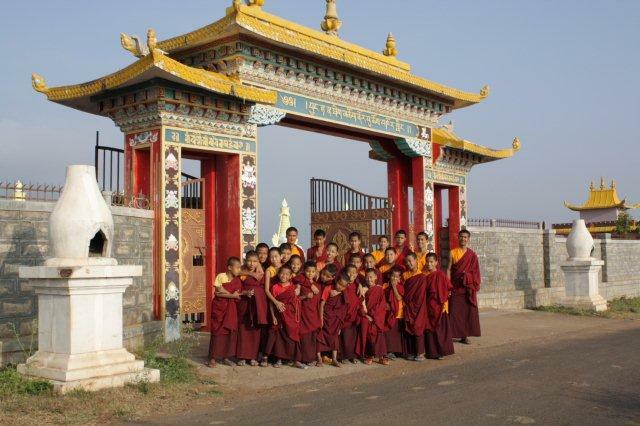 Tana Monastery, South India was built by the late Tana Tulku Rinpoche from Tibet in 1975. After years of hardship in the refugee camp, with the help of the Tibetan refugee villagers in Kollegal, the late Tana Tulku Rinpoche manage to build the shrine room. Tana Tulku Rinpoche passed away due to lung infection in 1999. 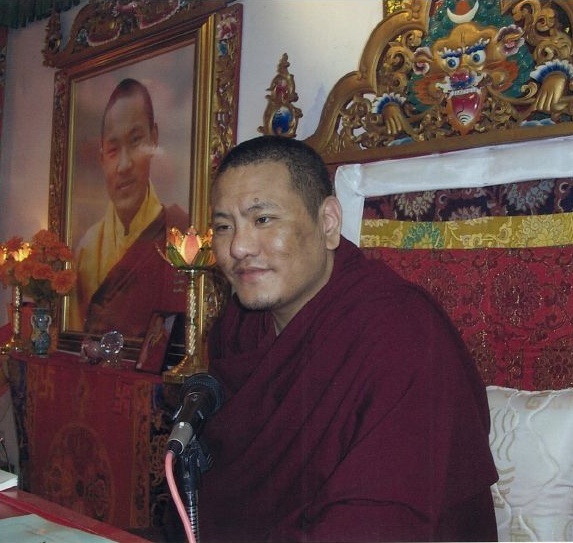 Tana Tulku Pema Rinpoche, the present Abbott of Tana Monastery, South India continued Tana Tulku Rinpoche’s work and in 2000 with the help of the kind efforts of some donors, the monks quarters were built. 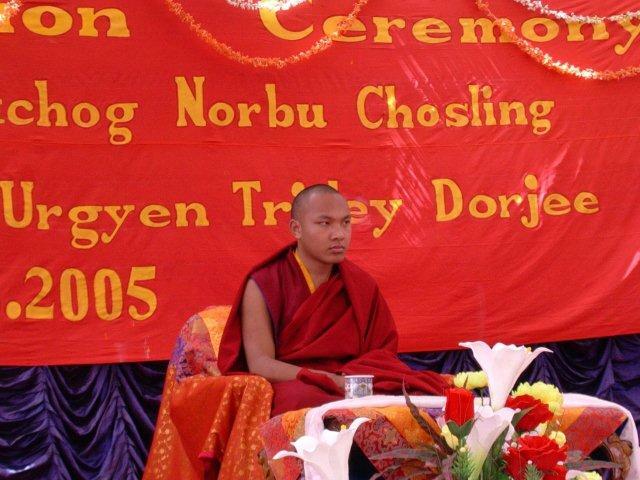 In 2005, His Holiness, 17th Karmapa Urgyen Trinley Dorje consecrated the Monastery. Tana Monastery is situated in Kollegal Taluk, Karnataka district in a wildlife sanctuary. In one nearby village, deep trenches have to be dug to keep out the wild elephants. To reach Tana Monastery, it takes almost 5 hours of travelling from the airport in Bangalore , and in the last part as one enters the wildlife reserve, the tarred roads end and the bumpy ride begins. When the bumpy road and stream crossings end, awakening after a short night’s sleep, the dawn reveals a modest and clean Tibetan Monastery which serves surrounding villages. THE ABBOT OF TANA MONASTERY, INDIA Tana Dungsey Rinpoche (Pema Rinpoche) is the present Abbot and lineage holder of Tana Monastery. The lineage holder of Tana Monastery has always been chosen from amongst the highly realised Hungchen Kara Saint lineage holders and the present Tana Dungsey Rinpoche (Pema Rinpoche) was not only born into this lineage, as soon as he was born the late 16th Karmapa, His Holiness Rigpe Dorjee recognized him as the emanation of Kunchen Dolpo Sangye and gave him the name, Karma Ngawang Chokyi Wangchuk Palsangpo. During his earlier years he received most of his empowerments and transmissions of the Nyingma tradition from the late Dilgo Khentse Rinpoche and and late Penor Rinpoche. Tana Dungsey Rinpoche (Pema Rinpoche) was ordained by the late Jamgon Kongtrul Rinpoche and received the Kargyu teachings and empowerments, transmissions from the Four Regents. Rinpoche studied at the Nalanda Buddhist Institute under the guidance of Kagyu Khenpos in Rumtek and in South India’s Nyagyur shedra. 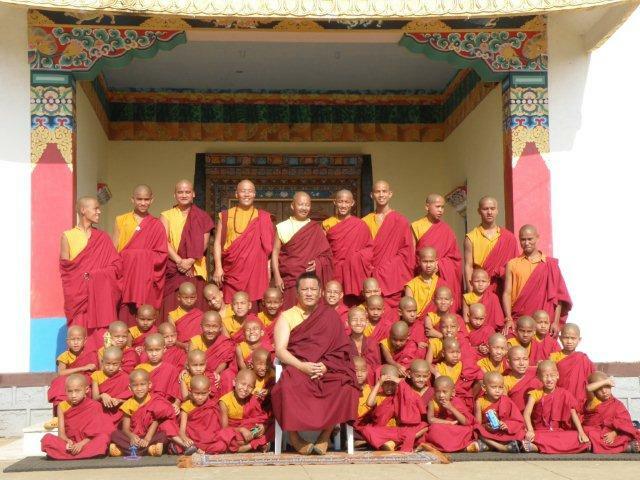 Rinpoche resides in Tana Monastery, India and his residence in Nepal and tirelessly travels widely and teaches abroad. Tana Dungsey Rinpoche (Pema Rinpoche) underwent his permanent retreat at Sherabling Monastery under the tutelage of HE Tai Situpa and retreat masters and returned to the Tana Monastery in March 2014. Today there is a not-for-profit organization set up to preserve the Yelpa Kagyu Lineage, one of the major lineages of Tibetan Vajrayana Buddhism.